I’m going to make a deal with you guys and myself. I’m going to review this thing, then I will absolutely not mention Lady Gaga or Fame again for the duration of this year. I think we’d all like to move on, and I was almost going to pass on even trying this because of how bored I got with the marketing. So, I promise, this one last post and then no more. In Bottle: If I had any expectations that this would smell anything different than a generic fragrance then I would like to once again concede my disappointment. Fame smells of slightly synthetic honeyed florals and the barest glance of vanillic incense. Applied: I aimed a spray of this on my arm was fascinated to see the black turn clear. And that was probably the most promising thing about Fame. I will say upfront that if you expected this to be bold, unique, or interesting then you might be in for a let down. Fame starts off with a synthetic blast of fruity florals. I can’t really tell if the synthetic waft I got came from the purported belladonna note or the honey note they used. Maybe it even came from whatever agent they used to turn black liquid into clear liquid. Whatever it is, it smells faintly of chemical and plastic on application. Rest easy though, that stage of it lasts for a few seconds and Fame settles down into a honeyed apricot floral fragrance. It is very apricots and jasmine based with a thick coat of sweet honey. After the very generic mid-stage, Fame dives into a slightly more interesting saffron and incense with florals dry down. The dry down gives off a smoky saffron (smells a bit like vanilla to me) twist to the generic florals, but it’s really late to the ballgame and to be honest, the incense is lightly used which makes the dry down even less noteworthy. Extra: Fame has been causing a huge buzz in the celebuscent circles for months and I’m particularly happy that it’s finally released and we can hopefully move on from here. 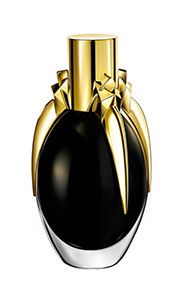 Fame was developed by Coty with some sort of collaborative effort from Haus Laboratories. The fragrance was apparently marketed as having new technology including the black liquid and some nonsense about it being “push-pull” where the notes weren’t going to work in a typical pyramid fashion. I don’t know where they got that one because 1) perfumers have already been making that happen for years, and 2) I experienced a mostly linear progression. Design: What Fame does well is mix Lady Gaga’s style with the design of the bottle. It very much reminds me of her while at the same time forces me to draw some similarities to Thierry Mugler’s designs. It’s Alien-esque, but I think it works well for Gaga’s image. 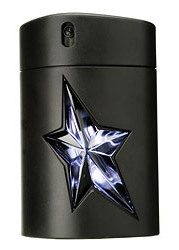 The bottle isn’t ugly, but at the same time it’s not my kind of style as I’ve confessed before that I find most Mugler bottles to be a bit of an eyesore. Still, it felt nice to nice to hold and was easy to use. I’m not going to be buying it for looks or smell any time soon though. Notes: Apricot, orchid, belladonna, jasmine, honey, saffron, incense. Now, if you’re a huge fan of Gaga, I don’t think my review is going to curb you away from buying this. If you aren’t a fan of Gaga and just want to know if this is anything at like Mother Monster, then I’ll save you a trip to the department store and say, “No”. Fame is very pleasant, not gross or weird, but really generic and easily beaten by more competent honey fragrances such as Tokyo Milk’s Honey and the Moon or for a less gourmand and more floral scent, Aftelier’s Honey Blossom. If you want Gaga branding, go with Fame. If you want an actual interesting and beautiful honey floral fragrance? Seriously, check out Aftelier’s Honey Blossom. Reviewed in This Post: Fame, 2012, Eau de Parfum. Miel De Bois is one of the last remaining Serge Lutens samples I had and was excited to get to smelling this when I read that it was a woody oriental with no cedar presence. In Bottle: Beautiful smooth honey and woodsy scent with a bit of smokiness. Applied: Miel De Bois opens with a prominent woodsy fragrance with the oak and a hint of smoky honey following it. The fragrance is blended very well, I can’t pick out anything that seems out of place as it all goes so well together. The fragrance gets a bit smokier as it ages with an introduction of the very soft and very yielding floral note to smooth out the wood and honey. Honey in this fragrance is a bit of a garnish in that it isn’t prominent but adds a bit of depth and oriental feel to the otherwise woodsy scent. I get more of the honey as the fragrance ages, but it’s strength is tempered back again by the woods as Miel De Bois goes on. Extra: Miel De Bois was first introduced in 2005. It was composed by Christopher Sheldrake who also made fragrance such as Chergui and Daim Blond. Design: Same general design as the other Serge Lutens bottles. 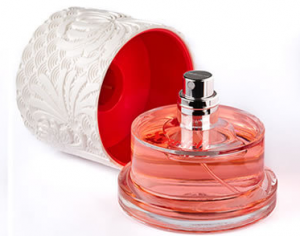 You’ll get an elegant and well designed bottle and if you own more than one, you might get yourself a very nice uniform look for your fragrance collection. Bottle is easy to hold and use and sprayer is well done. Notes: Honey, iris, hawthorn, guaiac wood, oak. Unfortunately, Miel De Bois has been discontinued and is no longer widely available–not that it was to begin with being a niche fragrance. You may be able to score a bottle on eBay or from another fragrance lover’s collection. 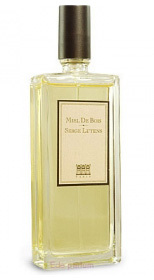 Reviewed in This Post: Miel De Bois, 2006, Eau de Parfum. If you’re a Black Phoenix Alchemy Lab fan then also consider taking a look at Wiggle Perfume and what they have to offer. Honeysuckle Sweet Tea is an impressive, minimalist fragrance that, to me, captures the essence of a warm day. In Bottle: A nice sweet, flowery fragrance that reminds me of warmth and green grass. Applied: Something about the opening reminds me of grass. 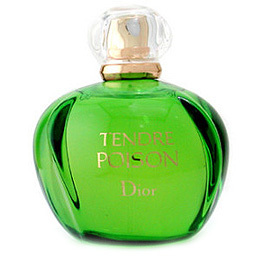 Maybe there’s a green quality to this fragrance that helps temper its sweetness. Honeysuckle Sweet Tea, being very faithful to its name plays up the sweet notes and has a good tempering green and floral note to tone itself down a little. The tea note is present too, in a small amount to me, lending the fragrance a delicate dryness that mixes very well with the rest of the fragrance. As the scent ages, the tea evaporates along with the florals leaving the heavy honey note behind on dry down. Progression on this perfume isn’t too distinct because it’s a relatively simple construct, but if you’re just looking for a simple perfume that doesn’t try to be more than it advertises then this one’s a good candidate to try. Extra: Wiggle Perfume can be found on Etsy and is operated by a lovely lady known as Nani. Design: Wiggle’s visual identity borrows from equal parts Film Noire and Burlesque. The bottles are presented with nicely designed labels and the photography used to present the fragrances in the store gives everything a very soft, sensual feel. The bottles themselves aren’t constructed in any spectacular fashion. You get functional glass bottles and vials, presented nicely with a pretty label and cap. Notes: Black tea, honeysuckle, honey. Lovers of indy perfumers might want to check out Wiggle for their simple, well-presented stock with a nice variety of fun and pretty fragrances. Reviewed in This Post: Honeysuckle Sweet Tea, 2011, Oil. Every time someone asks for a strong, long-lasting fragrance marketed toward men someone else is bound to suggest Kouros. In Bottle: Holy cow, it’s strong. Yeah, I’d say it lives up to its reputation. Bergamot, I think is what I’m smelling with a lot of aldehydes and some drowning florals. Applied: All right, I understand why a lot of people hate this fragrance. They were kidding when they said it was strong. If you were thinking of getting this because you wanted a strong (with italics and everything) fragrance then Kouros will make you happy. Well, it’ll make you happen if you happen to enjoy powerful animalic fougeres. Kouros starts off with a big hit of bergamot that’s bolstered with a ton of aldehydes and a spicy herbal treatment that adds to the masculinity of the fragrance. You’re going to see a lot of hyperbolic language in this post because this stuff is strong. Period. It’s a bit screechy at first, and if you’re not used to strong fragrances, you will get a headache or your nose will be overwhelmed. Let Kouros rest on your skin for a while and it’ll develop into a deeper more animal fragrance that introduces another round of spices and a bit of incense. This is complex defined with its classical personality paired with an 80s Powerhouse underbelly. The dry down never seems to come with this stuff as it’s just so strong and so dominant that I can only say by the time I had to shower it off, it still smelled finely of smoke, musks, spice, florals and confidence. Extra: Kouros was released in 1981. Named after a Greecian statue that typically depicts a youth in a standing pose. Design: Not the most interesting bottle to look at, but I do notice the relative simplicity of men’s fragrance packaging compared to women’s fragrances. Kouros is a fine design though. It’s simple but functional, would not look out of place on a man’s wardrobe or wherever he chooses to use his cologne. It’s nice to hold, easy to use, and has an excellent sprayer. Notes: Aldehydes, artemisia, coriander, clary sage, bergamot, carnation, patchouli, cinnamon, orris root, jasmine, vetiver, geranium, honey, leather, tonka bean, amber, musk, civet, oakmoss, vanilla. Despite being so strong Kouros hits a nice and reasonable ground with me so that I don’t find it repulsive and strong. It’s a good fragrance, it’s very strong, and it’s considered close to the classics. If you can handle it’s strength then you’ll be very happy with it. Reviewed in This Post: Kouros, ~2000, Eau de Parfum. Lady Una from Neil Gaiman’s Stardust has a pretty little fragrance by Black Phoenix Alchemy Lab. In Bottle: Sweet and fruity with an underlying tartness from the berries. Applied: Sweet berries up front with a bit of astringency from the green tea note and the berries that help with a little bit of tartness–not a whole lot of tartness here though as Lady Una is mostly honeyed berry. The fragrance continues on a rather linear path through its midstage and as it delves into its dry down the fragrance takes on a soft vanilla and clean musk. Extra: Lady Una is a fragrance in the Neil Gaiman’s Stardust line from Black Phoenix Alchemy Lab that focuses on concepts and characters from the novel. Design: Lady Una is bottled much the same way as other Black Phoenix Alchemy Lab scents. You get a small amber bottle with a plastic cap and stopper and a label featuring artwork by Sarah Coleman. Notes: Honey, green tea, blackberry, vanilla, musk, spices. Very nice soft fruity fragrance. If you’re a little too old for the vanilla and fruit explosion of most mainstream fragrances then give Lady Una a try for a softer, more subtle sweetness. Reviewed in This Post: Lady Una, 2010, 5ml Bottle. I’m still on my quest to find the perfect tea scent so a nice detour into Cumberland Ti by Soivohle was in order. In Bottle: Black tea with a twist of honey and a little bit of spice. Applied: A bit of citrus on the open followed with a deep, rich black tea scent and a hint of spiciness–something almost like pepper. As the fragrance ages the tea scent gets deeper and just a little bit of sweetness peeks out from the bed of notes. The chamomile doesn’t make itself very loud, it adds a bit of herbal quality to this fragrance that also leans a bit toward a slight floral quality near the end of the fragrance’s midstage. The dry down is a soft herbal tea-like treatment with a slight dustiness at the end. Extra: Cumberland Ti is inspired by a sweet southern tea with a sweet flavor. Design: Cumberland Ti’s design is pretty much similar to the other scents in Soivohle’s line.The bottles are nice enough, but with Independent and Niche perfumes, you’re not buying the fragrance for the packaging. Though the packaging is usually nice anyway. Notes: Tea, mate, honey, chamomile. Beautiful tea fragrance though not exactly what I was looking for. It’s a very nice, complex and unique blend and if you’re looking for an off-beat tea, definitely check this one out. Reviewed in This Post: Cumberland Ti, 2010, Absolute.